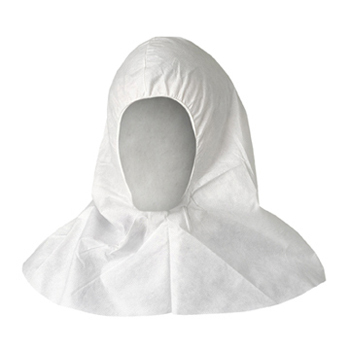 This cover helps keep the lens on the 3M� H-Series Hoods clean. 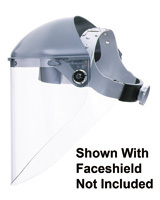 When vision becomes obstructed, the cover can be peeled off leaving a clean shield. Accessories are the major components that should be ordered with the initial product purchase. These will assure continued operation for the first 30-60 days. 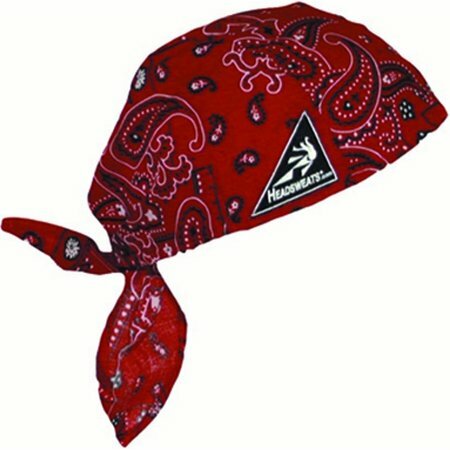 Accomodates facial hair and safety glasses This item cannot be shipped to APO/FPO addresses. 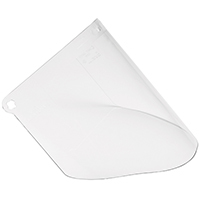 This cover helps keep the lens on the 3M� H-Series Hoods clean. 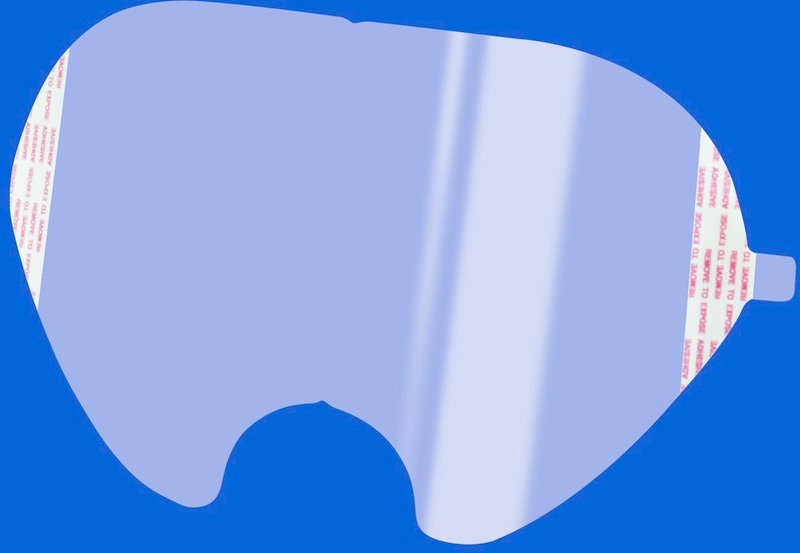 When vision becomes obstructed, the cover can be peeled off leaving a clean shield. 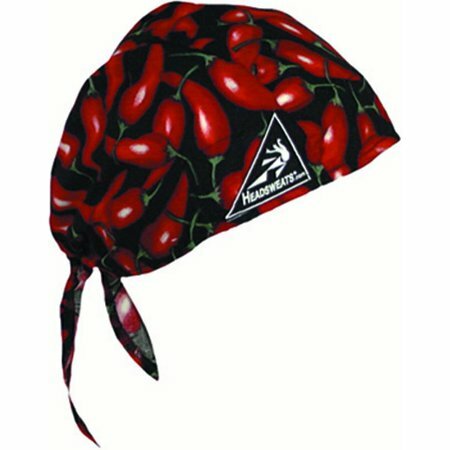 Accessories are the major components that should be ordered with the initial product purchase. These will assure continued operation for the first 30-60 days. Accomodates facial hair and safety glasses Covers nominal thickness 0.004 in (0.1mm) This item cannot be shipped to APO/FPO addresses. 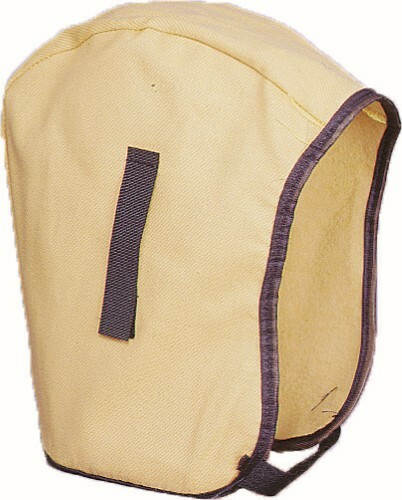 Particle protection hood with elastic face opening for comfort and convenience. Breathable, patented MICROFORCE* barrier SMS fabric. 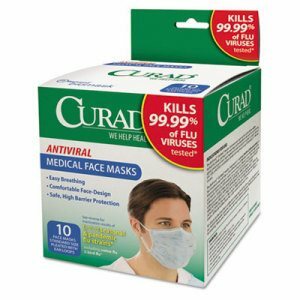 Ideal for use in situations when workers come in contact with dirt and grime. 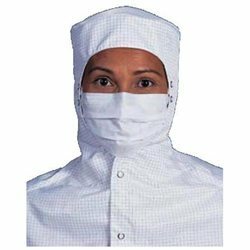 Apparel Type: Hood; Material(s): MICROFORCE* Barrier SMS Fabric; Color(s): White; Size Group: One Size Fits All. Kit provides an economical investment for your equipment and health. 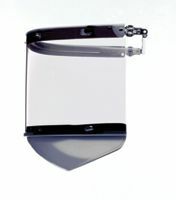 Exterior plates protect lens from scratches and heat. Interior plates add another layer of safety for your eyes. Durable, polycarbonate construction. 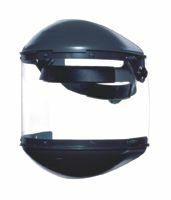 Safety Headgear Accessory Type: Lens; For Use With: JACKSON SAFETY *BOSS* EQC� Auto-Darkening Filters; Material(s): Polycarbonate; Color(s): Clear. 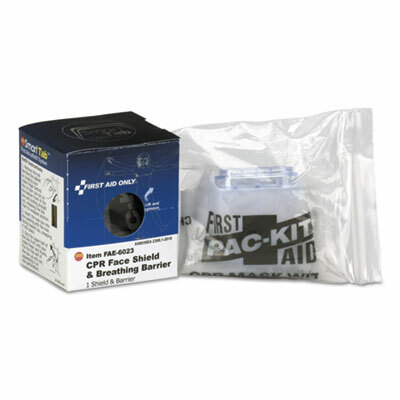 CPR face shield featuring a one-way valve which prevents direct contact with patient's mouth, nose and face. Elastic ear bands that fit over the patient's ears to keep mask in place. Suitable for both adults and children. Material(s): Plastic; Size Group: One Size. Scratch-resistant acetate window is perfect for its versatility when airborne matter is a serious concern. Especially effective against splashes, dust and light debris. 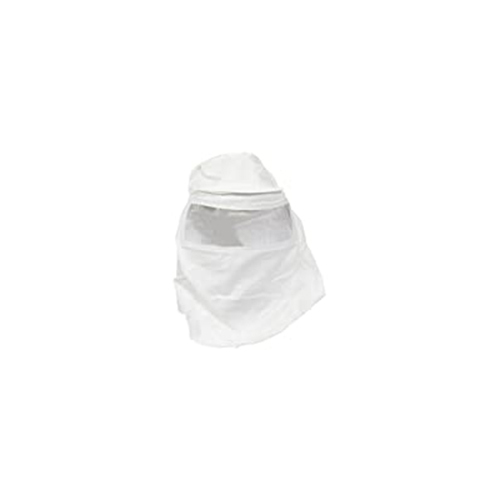 Ideal for food processing, chemical manufacturing or wind-impacted outdoor environments. 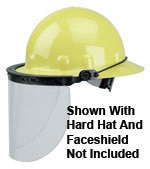 Safety Headgear Accessory Type: Face Shield; For Use With: JACKSON SAFETY* Face Shields; Material(s): Acetate; Color(s): Light Green. 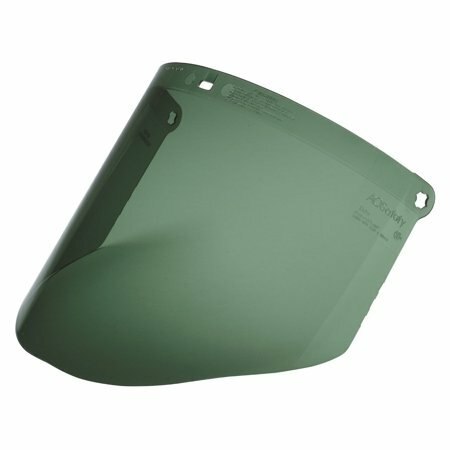 Optical-grade polycarbonate face shield window provides premium scratch resistance. Dependable secondary eye protection. Efficient 99.9% UV filtering. 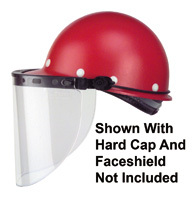 Safety Headgear Accessory Type: Face Shield; For Use With: JACKSON SAFETY* Face Shields; Material(s): Polycarbonate; Color(s): Green. 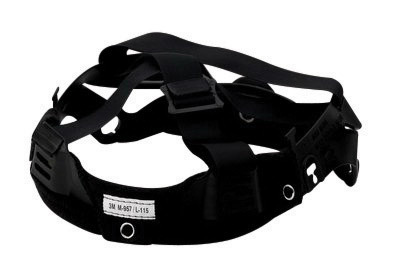 4" Deep Crown Protector 4" Deep Chin Guard High-Performance� Propionate Window Speedy� Mounting Loop Meets ANSI Z87+ Standards This item cannot be shipped to APO/FPO addresses. 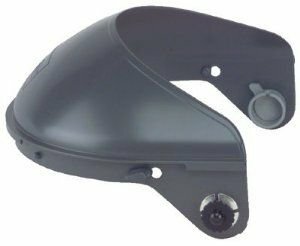 4" Deep Crown Protector 4" Deep Chin Guard High-Performance� Propionate Window Meets ANSI Z87+ Standards This item cannot be shipped to APO/FPO addresses. 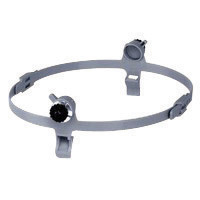 Channel Grip System Free Floating Headgear Fully adjustable to better fit Fibre-Metal� caps and major competitive brands SEI certified to comply with current ANSI standards This item cannot be shipped to APO/FPO addresses. Channel Grip System Slot/Pin Mechanism with Locking Cams Free Floating Headgear SEI certified to comply with current ANSI standards This item cannot be shipped to APO/FPO addresses. 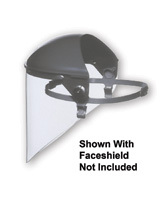 FM-70 Hard Cap Mounting System 4" Deep Chin Guard High-Performance� Propionate Window Meets ANSI Z87+ Standards This item cannot be shipped to APO/FPO addresses. 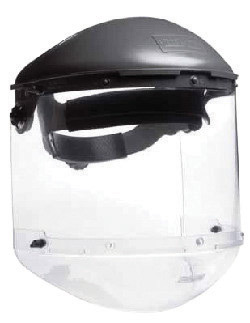 Made from NORYL, the same material used in our welding helmets, HIGH PERFORMANCE faceshields are stronger, more durable and more heat resistant than ordinary faceshields. Dual channel mounting system Designed for use with non-slotted hard caps The locked channels form a positive seal to keep debris from filtering between the cap and faceshield This item cannot be shipped to APO/FPO addresses. Made from NORYL, the same material used in our welding helmets, HIGH PERFORMANCE faceshields are stronger, more durable and more heat resistant than ordinary faceshields. 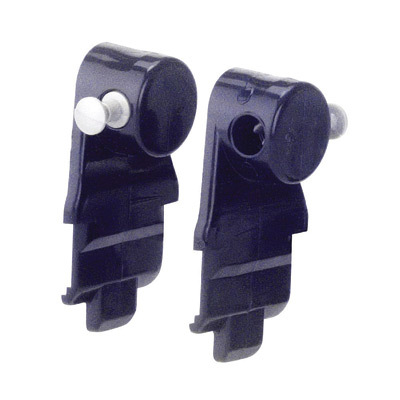 Dual channel mounting system Designed for use with non-slotted hard hats The locked channels form a positive seal to keep debris from filtering between the cap and faceshield This item cannot be shipped to APO/FPO addresses. 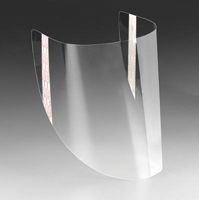 Fibre-Metal� Model 6000 Quick-Lok� mounting blades for quick and easy mounting of Fibre-Metal� welding helmets and faceshields on protective caps with mounting slots. 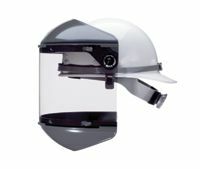 Fibre-Metal� Model 5000 Speedy-Loop� mounting system provides easy on/off welding helmet or faceshield mounting on protective caps. Fully adjustable to better fit Fibre-Metal� caps and major competive brands.